It’s that time of the year again! Dec. 16 signals the start of the nine-day routine of getting up at the wee hours of the morning, dragging other family members to church, and trying not to fall asleep during the priest’s homily. All these minor sacrifices are made in hopes of a wish being granted come Christmas day. Simbang gabi or misa de gallo is a treasured Christmas tradition for many Filipinos, and many of the elements attached to the practice are just as a precious: putting up a parol, caroling around the village, and enjoying hot cups of salabat and freshly cooked puto bumbong and bibingka just outside the church. While the classic Filipino rice cakes are very heard to beat, there’s always room to explore and try out new grub to satisfy a weary appetite so early in the morning. So fret not! 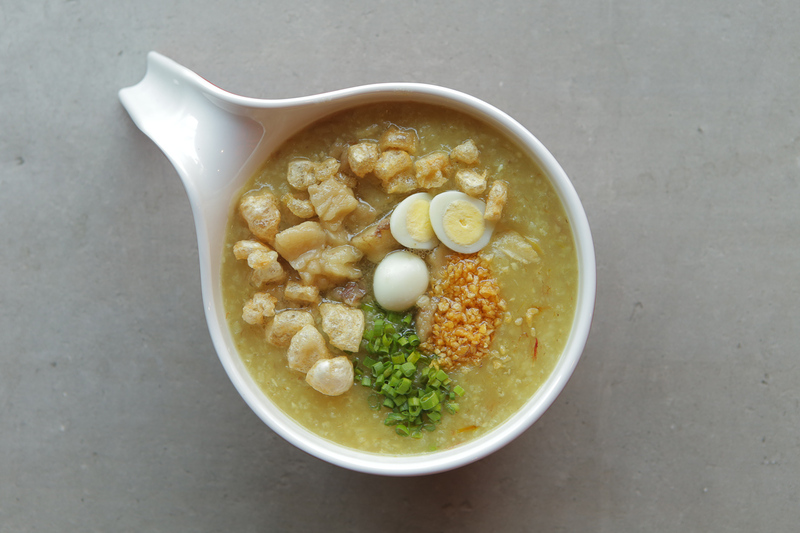 Here is a list of dining outlets you can head to post misa de gallo. Maybe these will even make waking up so early a tad bit easier. The well-loved Filipino restaurant offers what is hailed by many as the best puto bumbong and bibingka in the metro. The former is best enjoyed with grated cheddar choice and muscovado sugar, while the latter is made extra special with slices of queso de bola and kesong puti. While many of the Via Mare outlets inside malls are still closed during breakfast time, the Quezon City branch in Diliman is up early and ready to serve everyone’s favorite Christmas morning treats. How about a hearty plate of roast chicken with all an army of sides for breakfast? Some succulent chicken meat, extra servings of the chimichurri, some patatas bravas, and fried plantains promise a soothing December morning. Crispy, golden, spicy fried chicken makes for a good option, too. A crispy orange empanada filled with longganisa, vegetables, and egg sound like the perfect grab-and-go treat for those rushing to head back home and prepare for a day’s worth of work. But since Christmas is just around the corner, go ahead and treat yourself to a filling with some bagnet and cheese. Good news for all you Manam fanatics: The Greenhills and Greenbelt branches are opening as early as 5:30 in the morning to welcome simbang gabi attendees. House crispy sisig silog for breakfast? Yes, please! Don’t forget about the fun variations of bibingka available, too. Hope mornings at Manam will help you complete the nine-day novena! This quaint dining outlet offers instant respite in the middle of the metro. Enjoy classic breakfast meals with a creative twist such as the homemade corned beef chunks, pork tocino barbecue, or Spanish champorado with tuyo flakes. The homey, relaxing ambiance will do you wonders! Korean barbecue before dawn? Why not! Fill up for the rest of the day at this 24-hour samgyupsal haven. Though the unlimited sets don’t start until lunchtime, their a la carte offerings promise exquisite variety and ace quality. How about some Wagyu beef for breakfast? Nothing can be as comforting as a warm bowl of congee topped with roast duck or succulent asado. Then you round off the meal with some steamed spareribs, hakaw, hamsoikok, hot salad roll, and a couple orders of lava pao. Tip: There are numerous churches around the Binondo area for easier access. The Canadian superchain is serious in its mission of caffeinating Manila. But beyond the coffee and its multiple permutations, Tim Hortons also serves satisfying grub, ranging from savory bagels, chicken wraps, steak panini, and excellent breakfast sandwiches. Then there’s the Timbits, those little donut holes that make any meal extra merry. What is breakfast without eggs and a good cuppa? Bean & Yolk pays homage to this unbeatable duo and everything else that’s good to have first thing in the morning: Eggs benedict, scrambled eggs in brioche buns, and their own version of Christmas bibingka.